Compiled by all the factual favourites including David West Reynolds, who has been penning Visual Dictionaries for DK since 1999, and Pablo Hidalgo, who has had his hand in nearly as many Star Warsprojects as The Maker, this new guide is the the perfect book for getting to know the galaxy far, far away. "Packed with more than 1,500 stunning images, it showcases major and minor characters (such as Princess Leia and Luke Skywalker), creatures, vehicles, weapons, props, and items of tech in unparalleled detail. Beautiful photography and engaging text written by Star Wars experts examines the finer points of Padmé Amidala's costumes, displays Boba Fett's array of weaponry, studies Darth Vader's armor, and reveals the lesser-known background stories to many of the characters. Find out who Poe Dameron's idol is, discover the tech behind BB-8's rolling motion, and much, much more! Fully updated to include the latest installments of the Skywalker saga - Star Wars: The Force Awakens and Star Wars: The Last Jedi - this invaluable reference guide incorporates all the latest stories and characters. 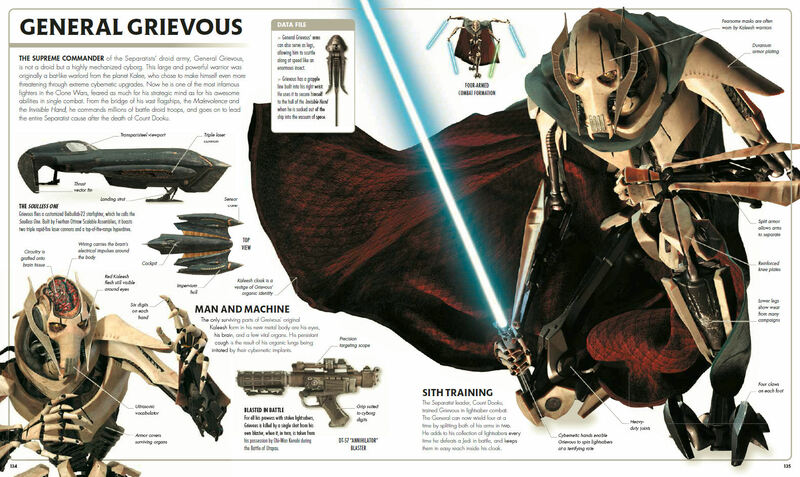 The definitive companion to the Star Wars movies, Star Wars The Complete Visual Dictionary is a must-buy for the beginner and the die-hard Star Wars fan alike." Like the blurb says, whether you are a perennial member of the Star Wars galaxy or have just joined the legions of fans, Star Wars The Complete Visual Dictionary Review is a great addition to your book shelf. To test this statement out the book was reviewed both a fanboy who is long in the tooth and one - Son of LEGOscum - who is still dropping his baby teeth. With an evergreen subject matter like Star Wars the Visual Dictionary series by DK is certainly a license to print paper, but is it retaining its relevance? Cast your mind back to the first Visual Dictionary - in those heady days of 1999 - with all of its photo-and-fact-filled 62 pages and how astonished we were to be treated to such intense detail. While the page count has changed (the latest version is 352 pages and weighs in at 4.6 lbs/2 kg) the contents haven't. Fans who aren't bound by the split of Prequel, Original and Trilogy era movies might feel a bit left out though. Being keen on the Clone Wars TV series and the two A Star Wars Story installments we headed straight to the material related to these chunks of the Saga. 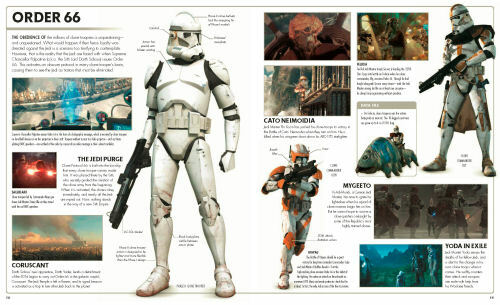 The twenty pages of detailed information about the Grand Army of the Republic (with the exception of ARC troopers - why?!?!) was the perfect accompaniment to my current re-reading of the Republic Commando books but we were saddened by poor representation that Rogue One and Solo - with two pages each - were given. If page counts were apportioned by screen time then it all probably works out though. While most of the images are immensely resolved, a few of them date back to production stills taken in the 70s and 80s and are a tad granular. These have been given some digital detailing to bring them up to the spec we've all come to expect, and won't take away from the beauty of the book. Son of LEGOscum commented that they make the newer photos even more impressive, and in his opinion the cut-away of General Grievous's skull was the best pic of all. The page I found the most remarkable was Captain Phasma's; though this character isn't a particular favourite of mine I can appreciate how difficult it would have been to get the lighting on the chromed armour set up to avoid flash reflection and lens flare. All-in-all Star Wars The Complete Visual Dictionary (ISBN-10: 1465475478/ISBN-13: 978-1465475473) is a good read, and the book's solid hard covers, strong binding and quality paper will ensure its place in Son of LEGOscum's growing collection of Star Wars books for at least another year or so. 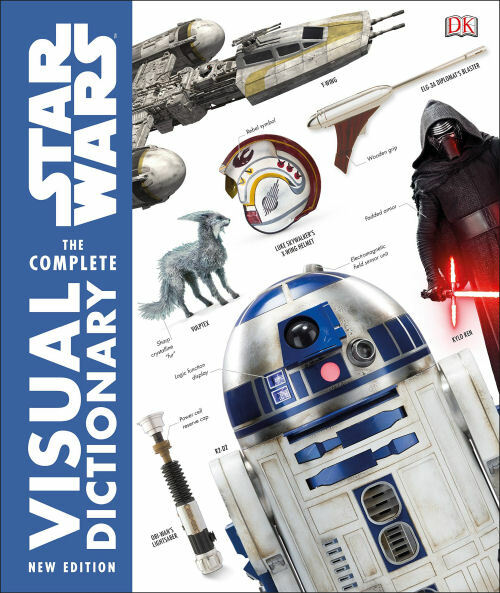 The Star Wars The Complete Visual Dictionary will be available on September 18th, with an RRP of US$40/CA$52/£35/€35 and can be pre-ordered from Amazon.com now.